As I sat through an overview of one of the latest collaboration tools on the market, a product called Spaces from nGenera, I began to have a deja-vu all over again moment. The discussion centered around the unique value proposition that nGenera was putting forth in the product, and, while the arguments behind them were convincing, I couldn’t help think of the half-dozen projects I had recently seen or been involved in that tried to accomplish much of the same functionality using Microsoft’s increasingly ubiquitous SharePoint. And then it dawned on me: SharePoint has become the Excel of the collaboration space, the apex predator in a growing jungle of tools and offerings that are scrambling to capture scarce resources and developer mindshare as enterprises build out their nascent collaboration functions. This Excel-like status is not to be trifled with: I always caution my vendor clients to be aware that, however cool and compelling their innovative products are, their number one competitor is likely to be an Excel spreadsheet, as well-worn and as shaggy as your dad’s favorite briefcase, that the users are likely to give up only when pried from their cold, dead fingers. This is one of the classic dilemmas facing all innovators: how to get people to actually use truly innovative products when there’s some good enough, tried and true solution already in place. This removes the need to worry about prying and cold, dead fingers, but that’s only on the end-user side. The developer community has similar prejudices, and most developers who have built collaboration tools using SharePoint are inclined to do it again. This is in part due to the excellence of SharePoint as a developer environment, and in part due to the excellence of SharePoint as a developer resource billable hour generator: end-user tool it is not. Which means that, like the classic enterprise apps market, products like Spaces have to be sold to the end-users, preferably warm and alive, in hopes that they will obviate the need for developers enamored with SharePoint to get involved and start recommending their favorite tool. That end-user evangelism requirement is tricky in the classic enterprise apps market, it’s even trickier in a nascent collaboration tools market. As I have opined before, we are not born with a lot of collaboration skills, and while everyone hears the collaboration drum beat load and clear, few people actually know what a collaborative project or process really should look like. This begs the need for templates and how-to-do-it tools, inside Spaces or StreamWorks or any other collaboration tool, that provides examples how collaboration really works. Anyone who doubts this requirement needs to sit in on a volunteer or non-profit organization and watch how things don’t get done: despite the very best of intentions, homo sapiens’ social development didn’t get as far up the evolutionary tree as it could have. nGenera definitely gets this requirement, and is promising to build out the best practices for collaboration in addition to providing advisory services to its customers. In many ways I believe it will be these secondary services that will make or break any individual tool. The collaboration market is new enough that the successful pioneers will also be the successful teachers. To do otherwise is to cede the market to SharePoint and an army of willing SharePoint programmers. The trick is to get out there with the how-to tools before the developers get the upper hand. 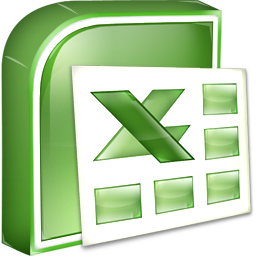 Otherwise Collaboration Tools: SharePoint = Enterprise Apps: Excel will be a formula to rule for many years to come. Yes. We have come to learn that “people use what they like, and like what they know”. So we decided to leverage Outlook\Office\Sharepoint (OOS?) environment instead of fighting it – by extending those tools to support better management of the unstructured, ad-hoc, human processes (some people are starting to use the term “adaptive case management”) that everyone does in those tools everyday. Jacob, I’ve seen lots of organizations do just that. To give your users even more of what they like may I suggest Harmonie, an Outlook plugin that provides tight integration with SharePoint. It’s very intuitive SharePoint sidebar and your users can easily collaborate on documents without leaving Outlook. You can download a personal edition for free at http://harmon.ie. SharePoint is only as valuable as it is used.